Mikkeller is a gypsy brewery from Copenhagen, Denmark that contract their beer to be brewed all over the world. 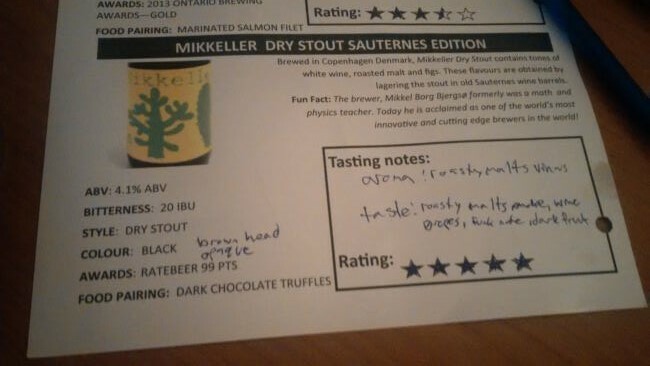 This brew was brewed at De Proefbrouwerij in Belgium and is called “Mikkeller Dry Stout (Sauternes Edition”. This stout was aged in Sauternes wine barrels. The beer pours a opaque black with a brown head. The aroma consists of roasted malts, wine, oaky and chocolate. The flavour is of roasted malts, smoke, wine, grapes, dark fruits, chocolate and some funky notes. The alcohol content comes in at 4.1% with an IBU of 20. People seem to be split on this beer as some places give it a 99/100 rating and some give it 54/100. I come in on the much higher side as I really enjoyed this beer! 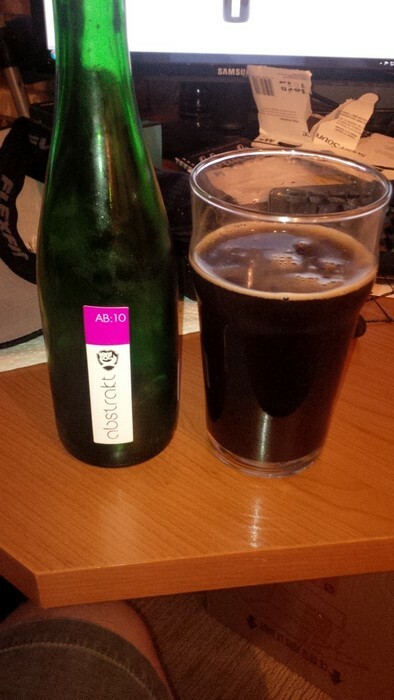 From Brewdog’s (Scotland) Abstrakt Concept Beer line comes their “Abstrakt AB:10” an Imperial Brown Ale that has been aged in Spanish Red Wine Barrels. Only 9872 Bottles were produced of this beer and I had bottle 4129. The beer pours a deep brown semi opaque colour with an off white head. The aroma is of dark fruits, molasses, oak and some wine. The flavour consists of Dark fruits like prunes, caramel, oak, molasses and a hint of wine and alcohol. 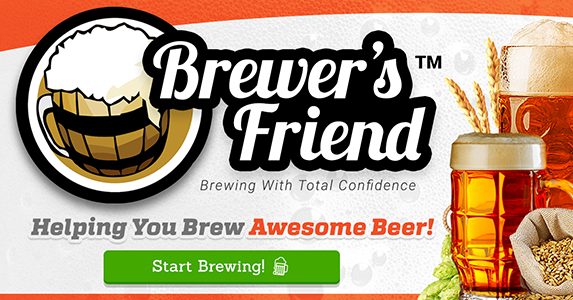 The alcohol content of this interesting brew is 11.5%. Commercial Description: The beer is an 11.5% Imperial Brown Ale which we have aged in amazing Spanish sweet red barrels from Malaga. Stewart Bowman, our Head Brewer, devised an Imperial Brown Ale designed to perfectly complement the wine flavours and extract maximum depth and character from the giant barrels. We also felt the Imperial Brown Ale was ideally suited to be barrel aged and as well as the infusion of the Malaga wine character will also benefit added complexity and maturity from the time in oak.